Hanging onto this statement at the moment. 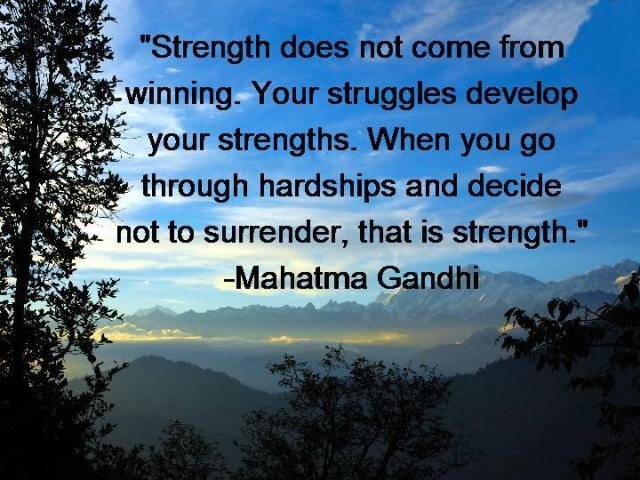 Our family is going through hardship at the moment from external forces. I know that falling into a pit of despair wont bring about change or make it go away nor will creating a black seed of despair and hate within me. I choose to let God into this situation and trust that he will cause them to see the truth and bring them peace. What i do know is that this struggle makes our family stronger. The petty things that might come between us slip away and we stand united as a family. Amen! 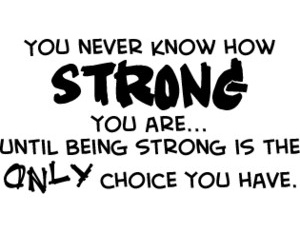 Be strong...life might be throwing you a curveball right now, but your strength will pull you through. Thanks for your support girls. Its so frustrating having a situation beyond your control. The only thing i can control is how i respond to it. So that's what i am doing. I know they are in pain and i hope they heal soon so they can stop hurting us. Your support is invaluable. Thank you Linne. Your friend rocks her world. We will get there.